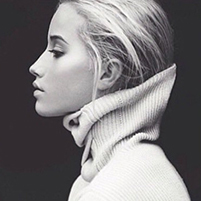 Posted on 23rd October 2015 at 7:42 am. 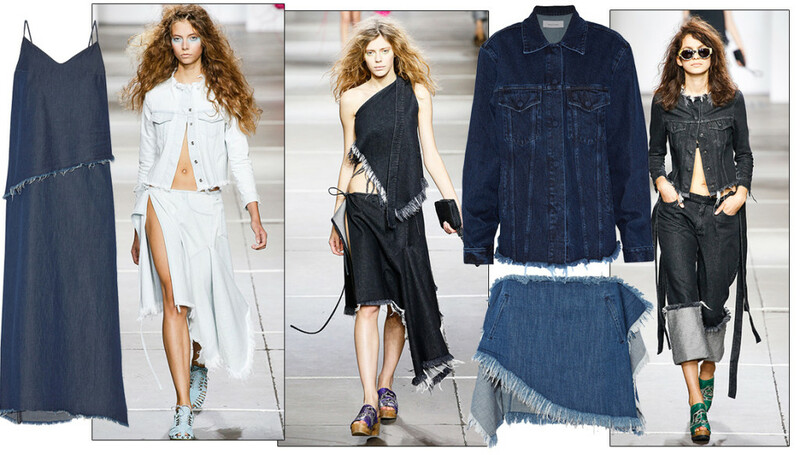 Fashion’s favourite material, denim is reinvented itself each season by designers and specialist labels alike. Whether it’s torn, embroidered, worn out, crumpled, hand painted, or cracked, the ultimate chameleon fabric is constantly reworked and revisited. Exit the pristine and brand-new, think used and custom-made this winter. For those who like their A.P.C. jeans slightly over-sized and worn, but also fans of the original dark raw denim look, the French house has launched project Butler. If you prefer your denim raw, you can now return your old A.P.C. jeans in exchange for a brand-new pair, at cost price. 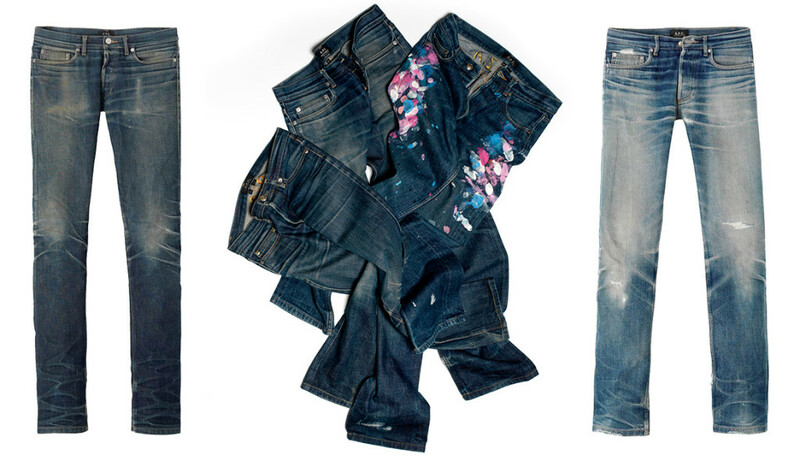 The jeans will then be resold, marked with the initials of the original buyer who wore them, washed, mended and ironed inside out and tagged with a “Butler Worn-Out Series “, an allusion to a time when box-fresh just wasn’t cool. For 10 years, the Indian designer Ashish Gupta has been mixing street with couture, sportwear with glam and urban with fluid to unveil blinged-up customizations more brights and sparkled each season. 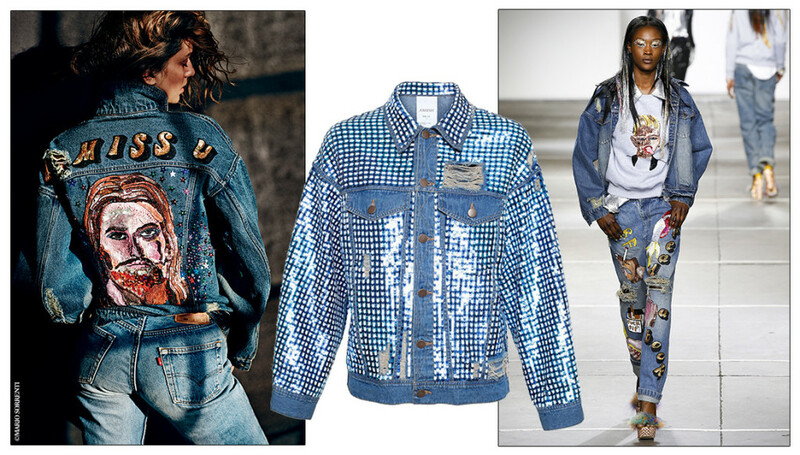 Star of the Ashish wardrobe, denim is recycled and customized with sequins, patches, feathers and embroidery. A melting pot of cultures and generations, the MM6 show was big on customization, challenging proportions, lines and materials. 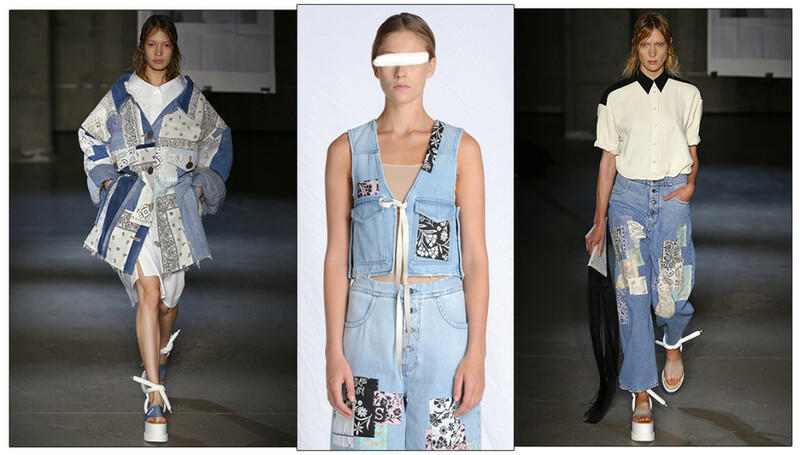 Denim is a key material, punctuating the MM6 collection with an assortment of bandana patchwork designs. Winner of the LVMH prize 2015, Portuguese designer Marta Marques and Paulo Almeida launched Marques’ Almeida in 2011. Based in London, the dui are inspired by the 1990s basics and minimalist/grunge style from the era. Jeans are an integral part of their collection, completely re-worked each season with silhouettes crafted from ripped, worn, cropped, cut and frayed denum the collection in a sartorial nod to Kate Moss style in the 1990s.